By now, most of my social networks and some of my readership have heard of my move into the Eastern Orthodox Church. I was ‘chrismated’ at the end of June this year (2013) and tonsured as a ‘reader’ for the All Saints Monastery in Dewdney in October. You might wonder why I—an evangelical / charismatic / Anabaptist—would don a cassock and take up incense and chanting. If you’re curious, here’s the short version. Why did I become an Orthodox Christian? First, because in my theology, I already was Orthodox for over ten years. When I say ‘theology,’ don’t think of stuffy, religious hair-splitting. I’m referring to the basic questions of who God is, what God is like, why Jesus came and died, what salvation is and how that happens. On these questions, I feel most at home in the Orthodox tradition, and I finally decided to make it official. The ancient Orthodox vision as I know it proclaims the saving power of Jesus’ life, death and resurrection, the transforming power of the Holy Spirit, and the ever-enduring mercies of the Father—the same Gospel I have always believed, but came to understand more clearly and preach more overtly a decade ago. To me, it’s the same Good News, but now even more so. I have experienced Orthodox theology as more evangelical—i.e. better news—than what I had known and taught in the context of popular Evangelical-ism. Of course, there are growing enclaves and popular movements among Evangelicals where theologians of hope are hunkering down and discovering what other Christians have taught all along. But they also endure a barrage of hostilities from members of their own tribe, those who marginalize them with hateful labels and even believe God has called them to the attack. So on the one hand, Evangelicalism continues to morph and mature, while on the other, some of her popular streams still cling to a retributive image of God — and its most zealous gatekeepers are quick to brand those who don’t as false teachers and heretics. Lord, have mercy. Sadly, it’s all too tempting to respond in kind, as illustrated by the shameless Twitter wars between ‘emergents’ or ‘progressives’ and ‘the Gospel Coalition,’ to name just one example. The mean-spiritedness that manifests in these battles really refutes the chief evidence of our discipleship: love for one another. It’s a sickening offence to those who witness it and turn away in disgust. I am reminded of Christ’s warning: “You shut the kingdom of heaven in men’s faces. You yourselves do not enter, nor will you let those enter who are trying to.” Lord, have mercy. On the other hand, many faithful Evangelical friends persist on this spiritual journey deeper into the Father’s heart. We don’t always agree, but we trust each other’s hearts and persevere in prayer for one another, asking for a spirit of wisdom and revelation in the knowledge of Christ and his kingdom of love. We know how to disagree while also holding fast to our love for each other, sojourning together into the kingdom of God. So theologically, I’ve moved from my own previous, retributive vision of God’s justice to something more restorative—from a Gospel that condemns and punishes sinners (unless…) to the one that forgives and heals sinners (even while…). I finally asked myself why I continue to scramble for cover from ‘friendly fire’ in trench networks and sub-sects of Protestantism when the Orthodox Church offers an ancient and enormous open harbor, and requires neither hiddenness nor apology for my central beliefs. They encourage and even expect me to teach the Beautiful Gospel (cf. ‘the Gospel in Chairs’) of the Fathers. In 2013, the ‘Beautiful Gospel’ and the ‘hopeful inclusion’ I described in the Hellbound? documentary were ridiculed and rejected by various ‘haters’ (usually by neo-Reformed bloggers) just as Can You Hear Me?, Children, Can You Hear Me?, Stricken by God? and Her Gates Will Never Be Shut had been since 2003. The tone was vitriolic and the intent malicious. “We’re coming after you,” I was told. God had ‘called them’ to oppose and eradicate my ministry. I found myself blacklisted or excluded in circles where I once had a voice. I’ve known times of sadness and anger over this. But also gratitude. Second, while I have been Orthodox theologically for years, it was not until this year that I discovered the healing balm and therapeutic beauty of Orthodox worship—their liturgy of beautiful psalms, confessions and prayers. Beyond the wonder and beauty of it all, at this stage of my journey, my nervous system also seems to handle liturgical worship much better than the anxieties of Revival-ism. 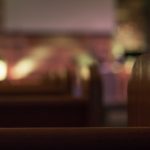 Extended years of attending and leading protracted revival meetings, trying to ‘press in’ for the ‘breakthrough’ that would lead to a great altar call, ministry time or full-blown revival have left me weary and yes, a little cynical. I want to be completely open and responsive to God—I want everything God has for me—but there’s an anxiety attached to revivalism’s question of whether or not or how God will (or won’t!) ‘show up.’ At its worst (and I’ve been there, done that), habits tantamount to a kind of neo-Baalism manifest and faith-filled expectancy is often displaced with repeatedly disappointed expectations. There’s a sense of striving to ‘enter into worship’ in such a way that we somehow feel the need to beg or even manipulate God into coming and visiting us. Happily, many casualties of unhealthy renewal practice have gladly shifted to healthier postures of ‘soaking’ rather than cajoling, ‘habitation’ versus visitation, and welcoming God’s presence vis-à-vis lamenting his absence. Charismatic and contemplative worship are fusing in beautiful ways. I am so glad for this, but for me right now, the old renewal cry for ‘MORE!’—the songs of hunger and thirst—is being satisfied in the Divine Liturgy of the Orthodox Church. What I’ve found in the Divine Liturgy—composed by church fathers like St. 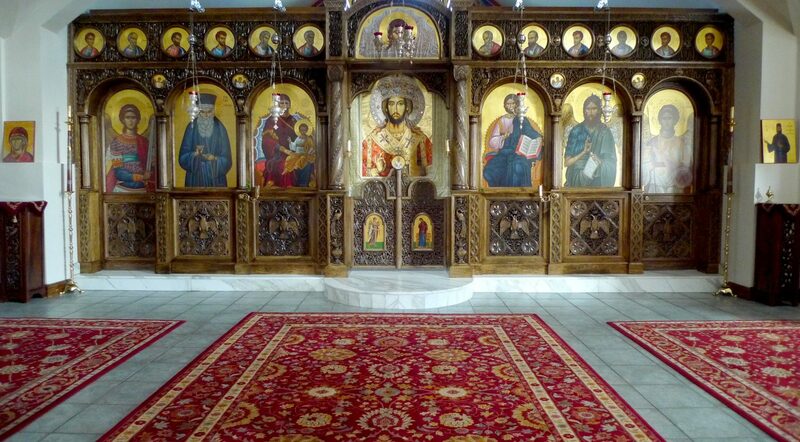 Basil and St. Chrysostom and preserved in the Orthodox Church—is that I don’t worry about ‘entering into worship.’ I can open my heart and simply let worship enter me. I don’t need to wonder what (or if) a meeting is building towards—it always, always climaxes in the powerful gift of receiving the Spirit-anointed Mystery of the body and blood of Jesus. In the Eucharist, I eat of the tree of life and ‘taste of the fountain of immortality.’ While others are still energized by a great renewal meeting—and I can still attend and minister in them when invited—my aging and somewhat damaged nervous system needs to be infused with the holy medicine of the prayers of the people and the grace they invoke. I experience it like an I.V. drip that works its way into my deepest needs and deepest wounds. In the Divine Liturgy I pray for mercy and receive it from the ‘man-befriending God’ who comes to us as the Great Physician … and I am revived! While some in the renewal have anxiously waited for an authenticating ‘third-heaven’ experience, the Orthodox are fully aware that participating in the Divine Liturgy is a charismatic experience of worship in the ‘heavenlies,’ in communion with all the saints and angels gather to approach the throne of grace along with us. I still embrace and will continue fellowship with the entire breadth of Christian believers as best I can, in joyful obedience to Jesus’ beautiful vision of John 17 love and unity. I now serve as faculty (New Testament and Patristics) in an evangelical-charismatic (largely Anglican) theological school. I also sit as an editor for several magazines and blogs that are eclectic and quite progressive. I enjoy the friendship and support of the Fresh Wind family and Soulstream community (a dispersed contemplative network). And I continue to bring continually tweaked Listening Prayer seminars wherever local congregations and Christian colleges invite me. My heart is to participate in the love of Christ for all however I can. At the same time, through chrismation, I intentionally broadened my embrace to reach out to my brothers and sisters from the Eastern Church. I’m ‘uncapping the wells’ of my spiritual heritage, reaching further back (centuries beyond my Baptist, Moravian and Hussite reformer-evangelist fore-parents), to rediscover my Celtic and Orthodox missionary forerunners in British and Czech lands. And while I continue to teach what I’ve already taught for the past decade of public ministry, I now try to do so from the P.O.V. of an Orthodox herald of Good News, a catechist for the Gospel, launching from a great harbor rather than peeking out from my own little foxhole. I absolutely love this! Thanks for being so open and sharing these things Brad!